Nanjangud: Nanjangud Sub-Division Police have arrested three persons including a woman for attempting to kidnap an Engineering student for ransom on Aug. 23. The arrested persons have been identified as Devaraju alias Deva of Koli Palya village in Chamarajanagar, his wife Nagalakshmi and Linganayaka alias Gundu. The accused were arrested based on mobile phone number which was used to call the Engineering student, call records and the registration number of the vehicle, which was used for the crime. 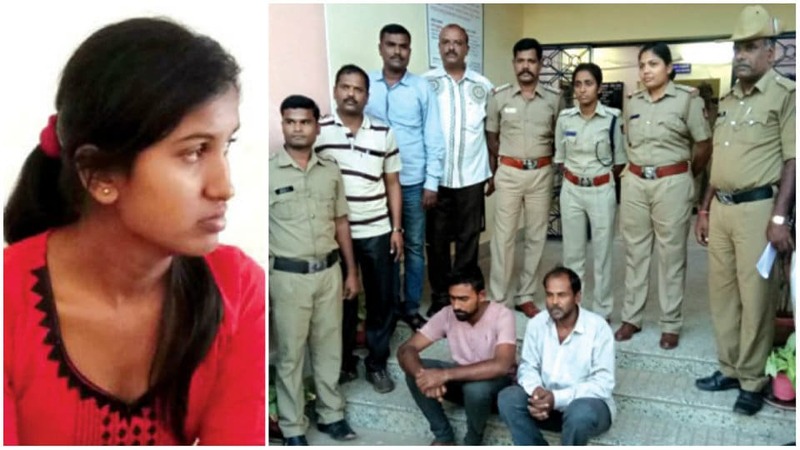 During interrogation, the accused are said to have confessed that they had collected the details of the student identified as Ramya, who is pursuing BE in Chamarajanagar and came to know that she hails from a rich family and then monitored her movements. They wanted to kidnap Ramya for a ransom of Rs. 25 lakh to get out of the financial mess they were in, said ASP Mohammed Sujitha. It may be recalled that on Aug. 23, Ramya received a call from a person claiming to be her uncle who asked her to come to Nanjangud as he wanted to see her. As the voice of the person who had called her resembled her uncle, Ramya went to Nanjangud in a bus. She alighted at the bus stand and went to Srikanteshwara Temple. While she was waiting near the temple, the accused Devaraju and his wife Nagalakshmi came near the temple and the latter who introduced herself as Shobha asked her to accompany them in their Scorpio vehicle as her uncle was waiting near the Hullahalli Circle. The unsuspecting Ramya got into the Scorpio and the duo tried to kidnap her. But Ramya, who came to know that the vehicle was moving in a wrong direction, managed to escape from the vehicle by steering the vehicle sharply to its left and jumping out of it. The accused have been remanded to judicial custody. ASP Mohammed Sujitha supervised Circle Inspector Gopalakrishna, SIs Savi, Veerabhadrappa, staff Satish, Prasanna Kumar, Krishna, Abdul Lathif, Devaraju, Nagendra, Sushil Kumar, Srikanth and others in the nabbing operation. One of the accused Devaraju was released for good conduct in 2006. He was involved in the murder of Rohit, son of late Madan Urs, a resident of Brindavan Extension in Mysuru in 1998. Devaraju, along with one Naga, in the guise of performing homa in the house of Madan Urs, had murdered Rohit by slitting his throat and was sentenced to 10 years imprisonment. In 2006, he was released from the jail for good conduct. As Devaraju was said to be in financial crisis, he had hatched a plot to kidnap Ramya for ransom, said ASP Mohammed Sujitha.